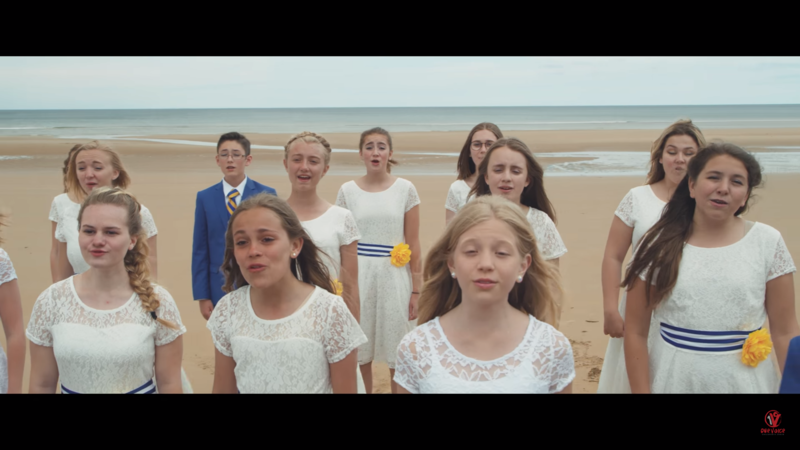 One Voice Children’s Choir, under the direction of Masa Fukuda, filmed their latest music video for “When You Believe” on Omaha beach in Normandy, France. The song and video is dedicated to all those who fought in World War II, as well as the victims of the Holocaust. “When You Believe” is beautifully performed in English, Hebrew and French. The song, originally from the Prince of Egypt soundtrack, takes on new meaning and depth when performed by the talented children’s choir on such a historically profound site. The children are dressed in matching dresses or suits, and their voices are perfectly suited for the song. Fukada’s arrangement of the song is epic and moving. The soloists are perfectly chosen and the accompaniment only adds to the beauty of the lyrics and the message that the group is sending. It is a moving tribute to those who fought in the war and those who lost their lives as a result. 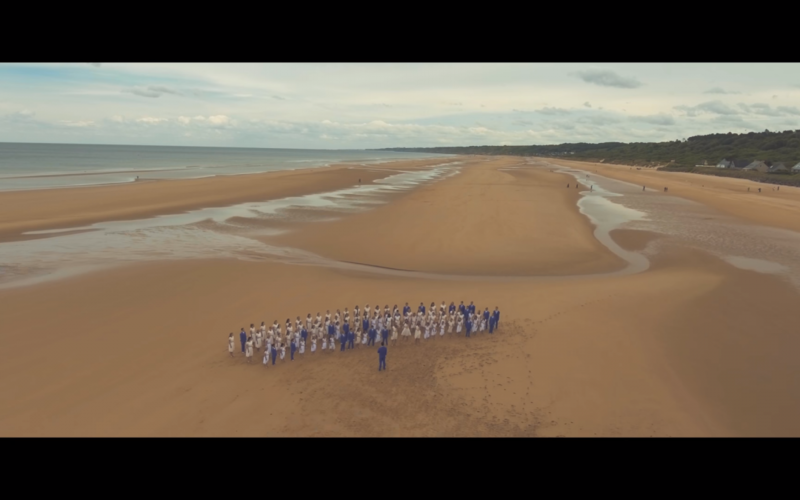 In the description for the video the choir shared a poem by Alice Fernandez, a French national, that was read at the 73rd D-Day Commemoration Ceremony at Brittany Cemetery. I am dying, Come and save me! And so you arose, full of courage and zeal, to answer that call. and when that day finally arrived in June 1944, you came by air and sea. we too might be free. saving others and fighting side-by-side with us. Fernandez and her family are direct descendants and beneficiaries of the sacrifices made by the Allied Forces during the liberation of Europe.